We are rich experience Flibanserin CAS 167933-07-5 export in China. 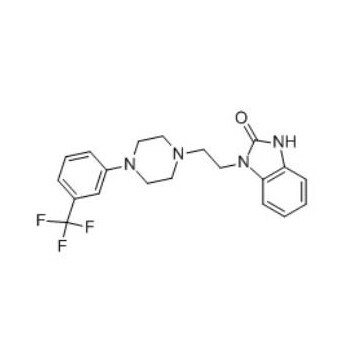 Flibanserin CAS NO 167933-07-5 is also called BIMT17 that is a 5-HT1A receptor agonist and 5-HT2A receptor antagonist. Study shows that Flibanserin 167933-07-5 is high affinity for human 5-HT1A receptors (Ki = 1 nm) and lower affinity for 5-HT2A (Ki = 49 nm) and D4 (Ki = 4–24 nm) receptors which is developed for the treatment of hypoactive sexual desire disorder in women. We can offer Flibanserin range from gram grade to kilogram grade. Thera. Category:Treatment of hypoactive sexual desire disorder in women. Flibanserin (code name BIMT-17) is a drug being studied as a non-hormonal treatment for pre-menopausal women with hypoactive sexual desire disorder (HSDD).